This week started off on a good note .. I lost a few extra pounds, did some crazy shopping keeping a trend watch though, planned my vacation, and partied hard & watched a lot of movies, Phew! Hope could get another crazy week like this ! Checked out Mango and Zara stores, and my wish list is expanding day after day, now I only hope that my pockets match up !As for the outfit, wore tangerine colour trend which also had subtle neon touch too ! After getting the tan , these shorts look much better on me than earlier-(husband's version ) ! Pero que estilo tienes guapa!!! Me encantan las gafas y el look fantastico. I really love the sunglasses!! stylish & easy! 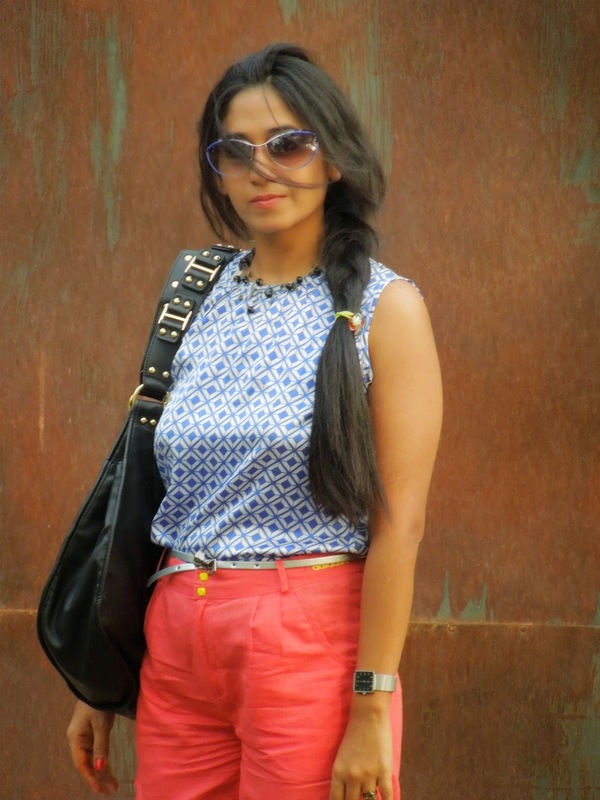 love that top and sunnies are just too pretty! Absolutely love your short pants. Perfect summer wear. As a matter of fact I too am a Delhi blogger. Love your sunglasses! And your outfit is so lovely and summery. I really like your shorts! color is superb! lovely outfit! This outfit is lovely, the bag is so pretty and wow, your hair is amazing ! I am now following you! Maybe you can follow me too!? lovely look and amazing hair! I love those shorts!! I am in adoration of your bag! Very cute! Love the color of your shorts! Love this outfit! The shorts are amazing! great picks! i like them! Nice post !! Love the print of your top!! great outfit you look amazing ! 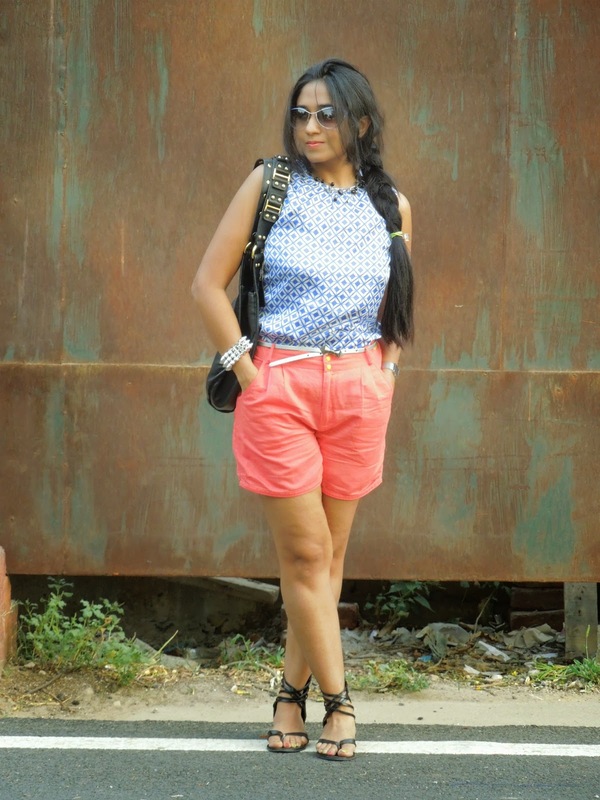 You rock those tangerine shorts Surbhi! Yes-I did see the Tibetan monasteries....they evoke such inner peace-didnt want to come back either! I somehow happened to drop by your blog and totally fell in love. NO one could say you are a mom to a 5 year old. I love your pairings and especially loved the post you did wearing Pallazo and the Messy Bun. Great work. 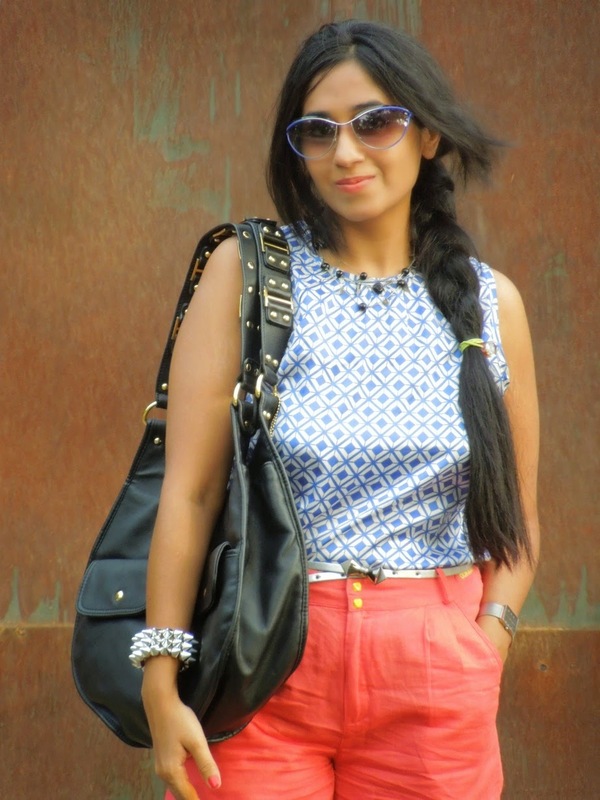 Also, Just in case you would like to follow each other, here's my blog url: http://chic-ilicious.blogspot.com/ . Do let me know how do you like it.. Thank you so much for following my blog and dropping your lovely comment. I'm following you back. Let's stay connected via Twitter as well. I'm following you on Twitter too. amazing blog! keep posting! would you like to follow each other? This is such a pretty pairing! I love the color of your shorts! hey, I love your bag. To your question; yes of course we can follow each other! Loved your look dear :) am following you now.. I love braids! Fantastic top! love your look!! !If you like we can follow each other and exchange some advice! I love to relate with other bloggers! It helps me improve! :) kisses! I love your look, its very cool & relaxed..You look great! Love your style! The sunnies look superb! cool color blocking, i love the color combination! And I am now following you on twitter and bloglovin' too- your turn :) thanks for the comment, again! I like your blog Im following you now! If you like my blog, follow me please! 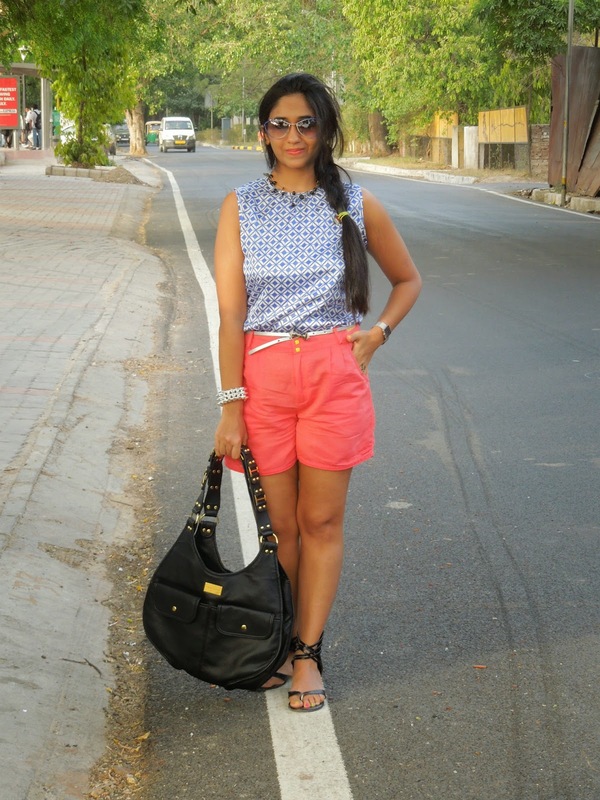 Love your neon shorts surbhi! Really love this outfit! you look stunning!